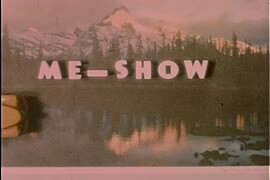 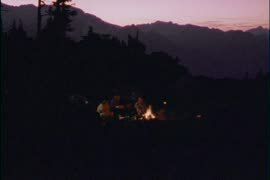 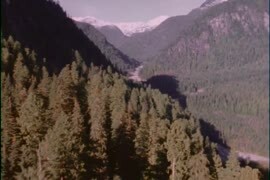 Film contains raw footage for the film "Curse of the lost gold mine." 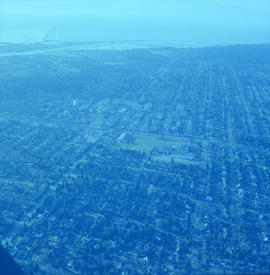 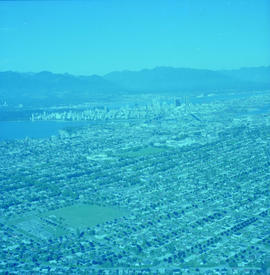 Item is a photograph from Oak and 41st Ave, looking north, with a large partially cleared green area at the bottom of the frame, with downtown, Stanley Park, and the North Shore Mountains in the upper frame. 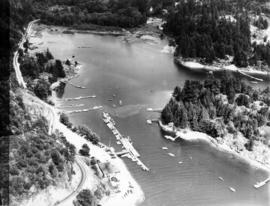 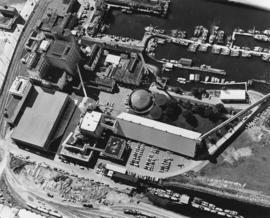 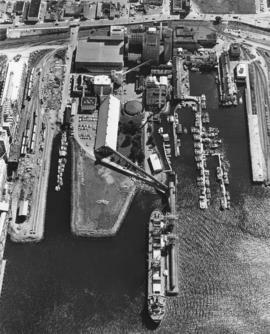 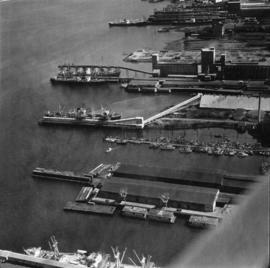 Item is a photograph of False Creek, looking northeast. 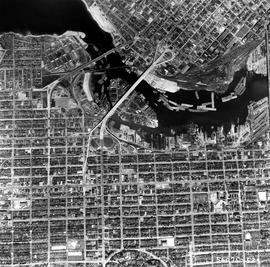 The photo has (from left to right) the Burrard bridge, the Kitsilano Trestle Bridge, the (old) Granville Street Bridge, and the Cambie Bridge. 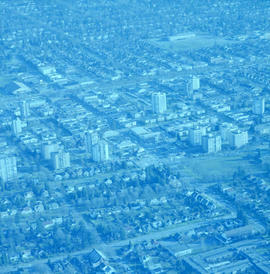 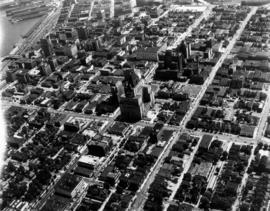 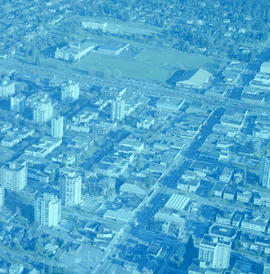 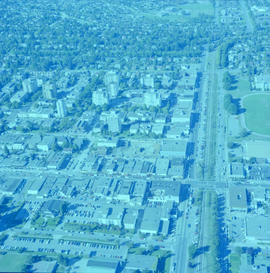 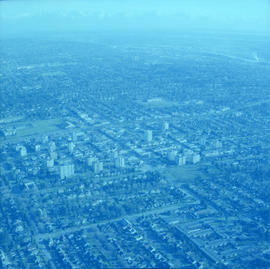 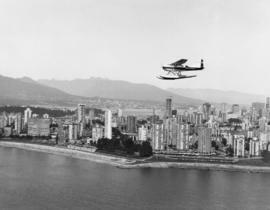 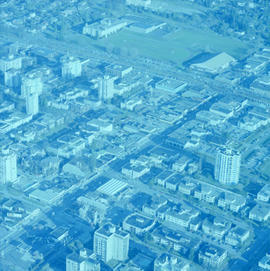 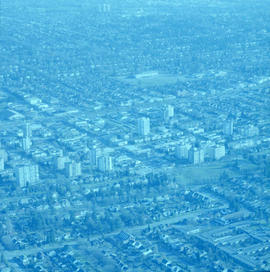 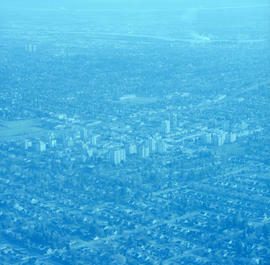 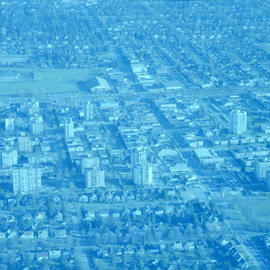 Item is a photograph of downtown Vancouver looking northeast. 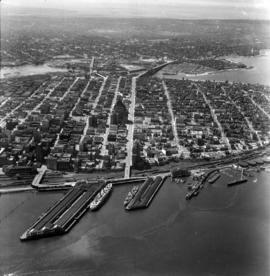 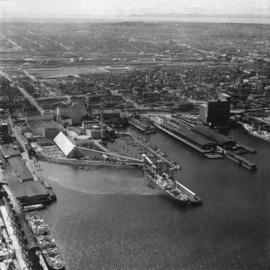 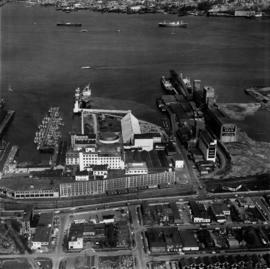 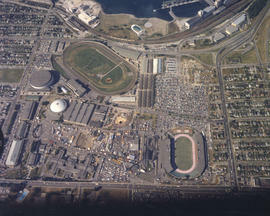 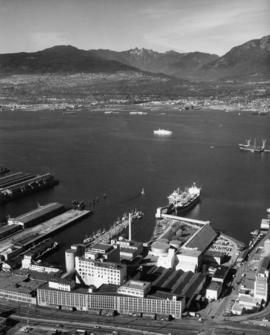 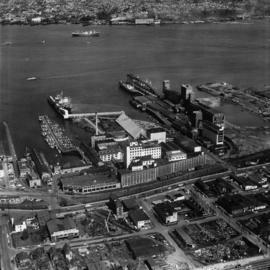 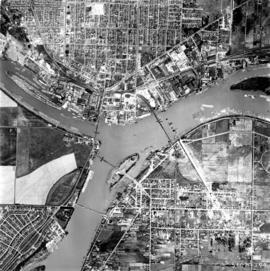 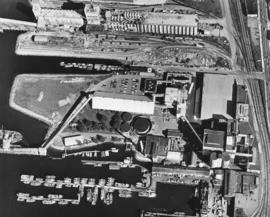 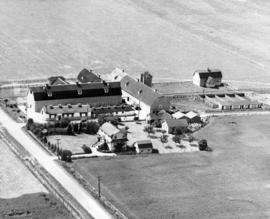 The photo is centred on the Hotel Vancouver and includes the provincial courthouse, surrounding areas, and part of the port of Vancouver. 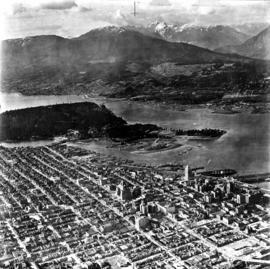 Item is a photograph of the Vancouver area looking northwest over downtown Vancouver including the Hotel Vancouver, Provincial Courts, the Marine Building, Stanley Park, Burrard Inlet, Lion's Gate Bridge, and Coal Harbour. 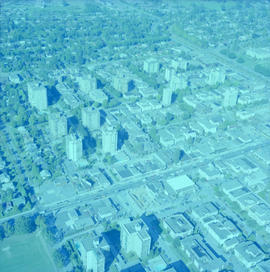 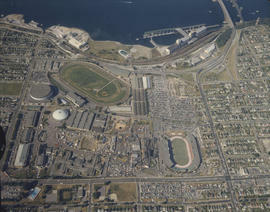 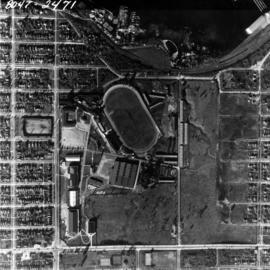 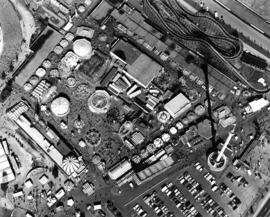 Item is a photograph of Exhibition Park and the surrounding area, looking north. 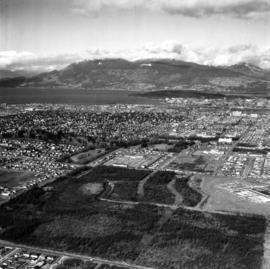 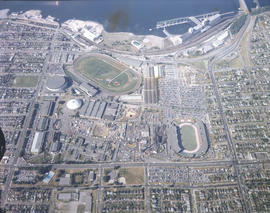 The area photographed runs from Vancouver Harbour to Charles Street, and from Lakewood Drive to Skeena Street. 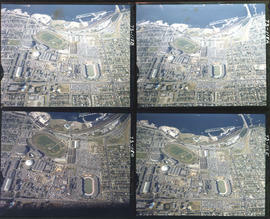 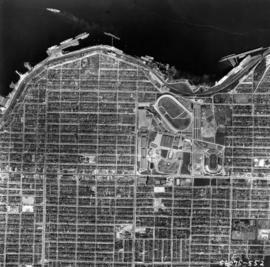 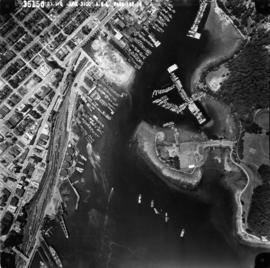 Item is a photograph of False Creek, showing English Bay to W 16th Avenue, and from Maple Street to the Cambie Street Bridge. 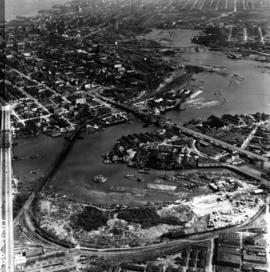 Includes the Burrard Street Bridge, the new Granville Bridge, the Cambie Bridge, and Granville Island. 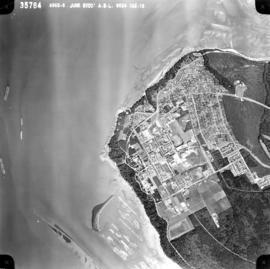 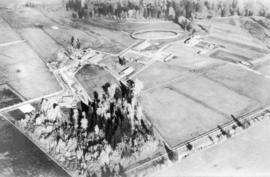 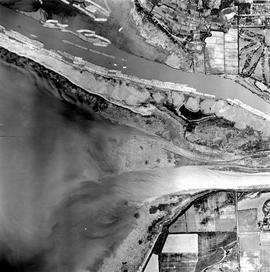 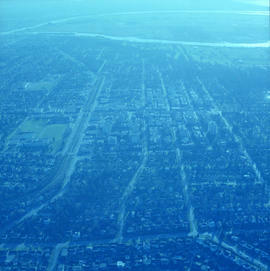 Item is a photograph of Jericho Beach Park and the surrounding area, looking north. 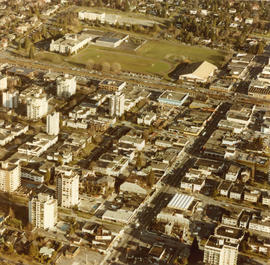 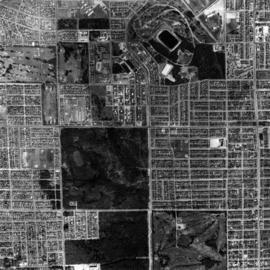 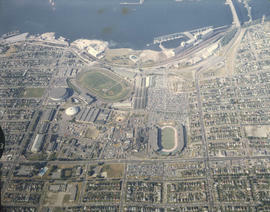 The area photographed runs from English Bay and Jericho Beach to W 16th Avenue,and from Sasamat Street to Balaclava Street. 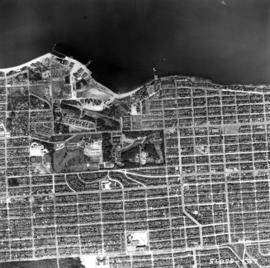 Item is a photograph of Little Mountain and Oakridge, showing from W 30th Avenue to W 54th Avenue, and from Hudson Street to Main Street. 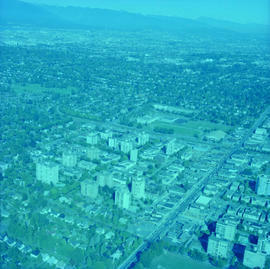 Includes the Langara golf course and Queen Elizabeth Park.